Speaker of the House Dr. Jiko Luveni has ruled that the petition signed by 577 people concerned with the Rotuma Bill and Rotuma Lands Bill which was tabled in Parliament in the May sitting – will be heard. 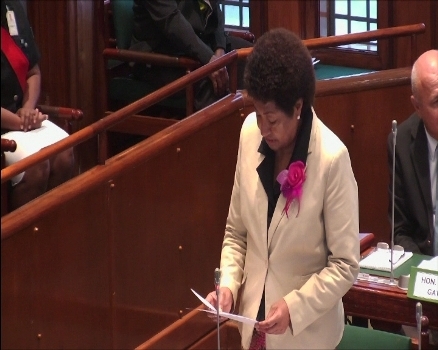 The petition was tabled by Opposition Leader Ro Teimumu Kepa this morning. In her ruling, Dr. Jiko says there is no reason why the Committee cannot consider the bills as well as the petition. She says there is no impediment to the petition been considered by the Committee and it is up to the Committee to decide how to deal with both the bills and the petition and report back to the House. Attorney General Aiyaz Sayed-Khaiyum had raised a point of order saying that the petition tabled by Kepa intervened with the powers of the standing committee. The petition has now been tabled and assigned to the Social Committee for consideration and deliberations with a report expected in the August Parliament sitting.